Why Sleep on a Waterbed Mattress? 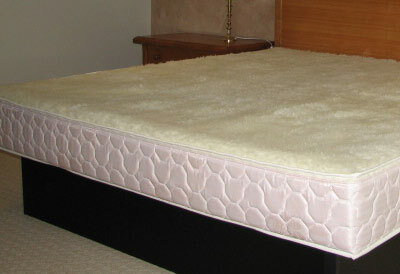 The Waterbed mattress moulds to your own body shape and spreads your weight evenly. 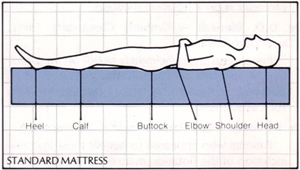 With no pressure points, it allows you to sleep in one position for much longer periods and you sleep more restfully. 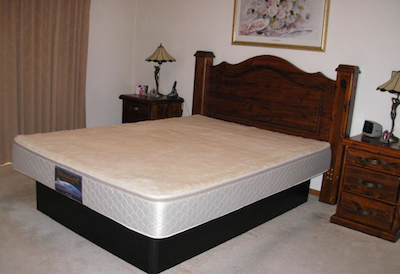 Relieving back pain is one of the most frequent reasons for the purchasing of a waterbed. 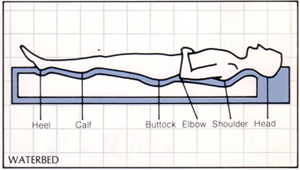 Waterbed matresses support your body evenly, so great relief from pain can often be achieved. The therapeutic warmth also helps relieve the pain of sore arthritic muscles and joints. Dust mites are well known as a cause of allergies. 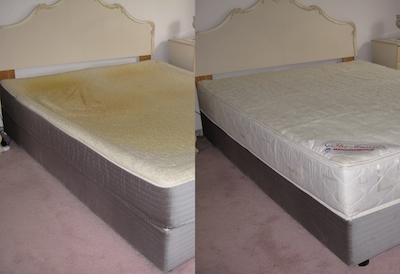 Dead skin and body oils permeate foam or spring mattresses and provide food for dust mites. Vinyl waterbed mattresses are impervious to dust mites, so allergy and asthma sufferers can sleep peacefully. A waterbed is the most sanitary surface one can sleep on. Waterbeds are thermostatically controlled to maintain a constant temperature year round. You’ll find there is nothing more relaxing than a warm waterbed on a cold winter’s night. During the summer, keeping cool is achieved by turning the heater down. Even in winter, heaters cost a little more than an electric blanket to run. 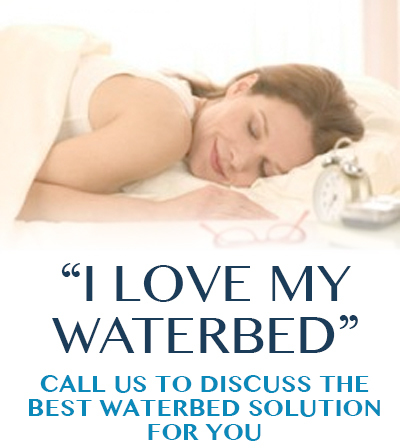 We know a waterbed provides the best sleeping surface available. … Just ask someone who has one.